Food waste is one of the most serious contemporary problem that Electrolux has been fighting for a long time, through programs and initiatives aimed to increase people awareness. The next of these will be directed to kids. The Electrolux Food Foundation, the student organisation AIESEC and Worldchefs, in fact, announced a special program to raise awareness about food waste by teaching 30,000 children on sustainable eating by 2019. The education initiative is based on a newly launched education toolkit that contributes to the UN Sustainable Development Goals on responsible consumption and production. 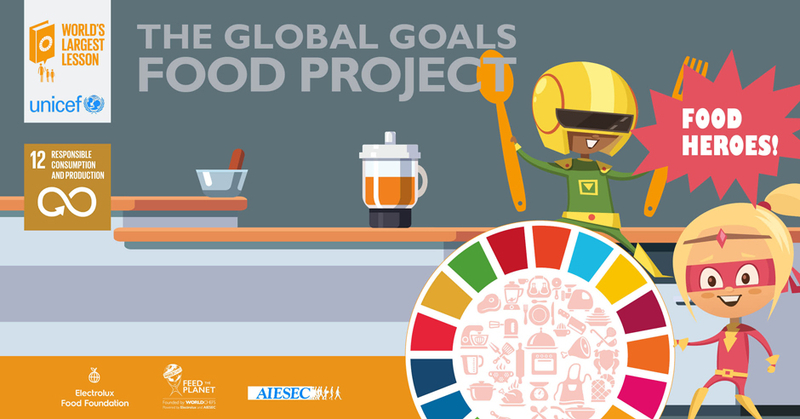 Earlier this year, Electrolux Food Foundation, AIESEC and Worldchef developed a joint lesson plan to inspire children to challenge and change their own food habits. The toolkit is developed through the UN initiative World’s Largest Lesson, produced by Project Everyone in partnership with UNICEF. World’s largest Lesson aims to introduce the UN Sustainable Development Goals to children and youth. A pilot phase of the project was kicked off in July-September, reaching already 2,000 children in Malaysia, Argentina, the US and Poland. During the upcoming year, the project will gear up and AIESEC’s volunteers and Worldchefs members will join Electrolux employees in delivering the workshops in order to be able to educate 30,000 children. «One third of the food produced goes to waste while 800 million people in the world go to bed hungry. By engaging younger generations on these topics, we can help shape a more sustainable future» said Malin Ekefalk, Director of Social Responsibility at Electrolux.